1985 was a year in which tensions between the United States and Libya heightened in response to Libya’s involvement in hijacking of TWA Flight 847 and the bombings in the Rome and Vienna airports. It was also the year in which Libya significantly enhanced it’s air defense system with installation of long range SA-5 Gammon missiles supplied by the Soviet Union. Years earlier, Libya’s dictator Muammar Gaddafi had declared that he would shoot down or destroy any US aircraft or ships crossing below N32’30” degrees latitude within the Gulf of Sidra, proclaiming this the “Line of Death.” The U.S. has long history of executing naval and air exercises, termed Freedom of Navigation (FON) operations, in contested areas within international waters to assert their right to keep international sea lanes open. In response to Libya’s involvement in terrorist activity, in early 1986 the United States Navy scheduled Operation “Attain Document,” which contained three FON operations below the “Line of Death.” The operation involved three aircraft carriers, the USS America (CV-66 with CVW-1/VA-34 embarked), USS Saratoga (CV-60 with CVW-17 /VA-85 embarked) and the USS Coral Sea (CV-43 with CVW-13/VA-55 embarked), five cruisers, 12 destroyers, 250 aircraft and 27,000 personnel, The first two phases, from 26-30 January and 12-15 February, were conducted without incident. The third phase, conducted on 23-24 March 1986, was a different story. Flight operations were conducted around the clock, divided among the three carriers. America, Air Wing One and VA-34 pulled the night shift. Over the years, these operations had become fairly routine. Libya would send an occasional aircraft out over the Gulf, but they typically retreated as soon as our fighter aircraft engaged. Their patrol craft, armed with surface-to-surface missiles, tended to stick fairly close to shore. In this operation Libyan aircraft were becoming more aggressive, surface-to-air missiles had been fired at our aircraft and Libyan patrol craft ventured further away from shore while several of our battle group ships operated below the arbitrary Line of Death. On 23 March, U.S. aircraft from the three carriers began operations in the Gulf of Sidra by crossing the Line of Death. VA-34 launched a duty tanker tasked to refuel two F-14 Tomcats that were providing Barrier Cap (BARCAP) south of the Line of Death and demonstrating “Freedom of Navigation.” As the Tomcat’s were considered to be in a hostile environment, the expectation was for them to have sufficient fuel to perform their mission, to include engaging aircraft that may venture out. The Blaster tanker launched fully loaded, checked “sweet” and then proceeded south at 15K to rendezvous with the Tomcats to keep them at them mission fuel. The Tanker proceeded about 100 miles south to the Tomcats, gained sight of the Toms and went into a left-hand orbit to facilitate refueling about 40-50 miles north of Sirte Libya where Gaddafi had installed a Russian SA-5 Surface to Air Missile site. The SA-5 is a 35-foot long missile with an effective altitude of 1,000-66,000 feet, speed Mach 4, semi active homing radar, 160 NM range, proximity-fuzed missile with a 478 pound warhead. 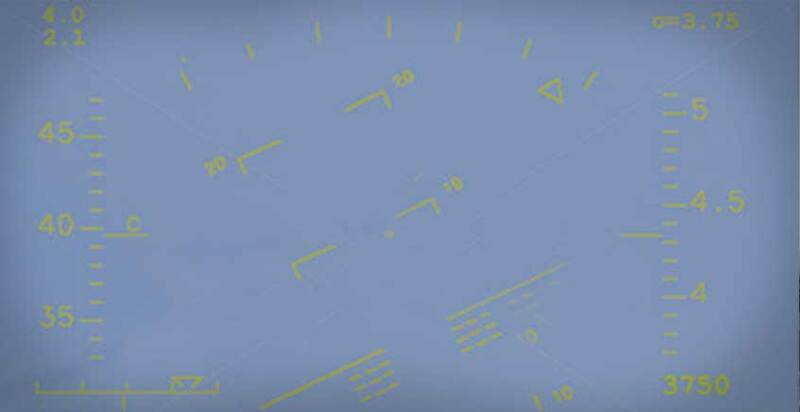 The Fire control radar for the SA-5 can easily target out to 170 miles so all three aircraft, the KA-6D and two F-14s, were well within the envelope. As the KA-6D was completing tanking of the second Tomcat, they received a warning call over Guard frequency, alerting all three aircraft that a SAM had been fired out of Sirte. The Tomcat pulled out of the basket, the tanker crew retracted the hose, got a positive indication from the Tomcat that the basket was stowed and immediately performed a Split S maneuver to get as low as possible, as fast as possible, and head North to safety. As the tanker passed below 1,000 feet the crew relaxed a bit, but still descended to 200 feet just to be sure as they booked north back to the carrier doing 450 knots or so. The missile apparently never guided on either the Tanker or the Tomcats. On March 24th, three surface ships, USS Ticonderoga, USS Scott and USS Caron, commenced operations below the Line of Death. 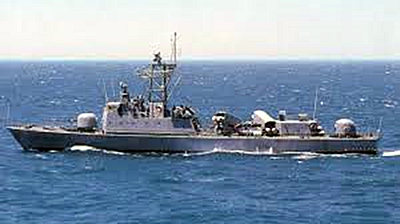 Libyan response included directing their fast patrol boats toward U.S. forces. U.S. response to Libyan provocation included the first airborne and surface-to-surface combat launches of the AGM-84 Harpoon missile. On the night of March 24, 1986, VA-34 launched two A-6E aircraft, each armed with one AGM-84 Harpoon missile and two MK-20 Rockeye Cluster Bombs, to conduct Anti-Surface Warfare (ASUW) missions. About half an hour into the flight, the first Blue Blaster Intruder was vectored towards a surface contact by CVW-1’s Early Warning Command and Control E-2C aircraft and tasked with identifying the contact. Using the A-6E TRAM’s (Target Recognition and Attack Multi-sensor) Forward Looking Infra-Red (FLIR) they were able to identify the surface vessel as a La Combattante Fast Attack class patrol boat and reported its position, heading and speed back to the E-2C. The E-2C’s instructions were to “bird-dog” (i.e., maintain contact with) the ship, something Intruder crews had a lot of practice doing during years of “Cold War” operations against the Soviets. After approximately 20 minutes, the Intruder crew received coded orders to attack the ship. The orders caught them by complete surprise and to ensure there wasn’t some sort of enemy intrusion, they used a special set of cryptographic procedures to verify the orders. At the time the aircraft verified the order to attack as legitimate, the Intruder was slightly to the southwest of the ship, and could see commercial shipping just to the north of the patrol craft. While the early versions of the Harpoon could limit the size of its search area to some degree, we weren’t altogether comfortable that its radar wouldn’t lock onto a much larger commercial vessel in the vicinity instead of the smaller patrol craft. In lieu of this constraint to the weapon, the Blue Blasters’ Commanding Officer had directed his flight crews that if they did happen to engage any surface ships, that they would only do so shooting from north to south. Therefore, the Intruder began to maneuver around to the north which would enable a clear shot to the south. As the intruder circled back to the north, a sister Blue Blaster aircraft also received the order to attack. They were located to the Northeast and were thus able to approach the target from a northeast to southwest to execute a clear shot before the first Blue Blaster had maneuvered back to the North. This attack was the first time the air launched Harpoon had been used in combat. Their Harpoon clearly struck the La Combattante, and they continued their attack, dropping their two Mk-20 Rockeyes on the ship. As they cleared the target, the Intruder who located the ship were then in position to fire. The second Harpoon struck the Libyan craft, which was then left totally dead in the water. As they continued towards the craft, only the bow of the ship remained afloat, with the bulk of it engulfed in heavy flames. Seeing the ship on the verge of sinking and believing there may be other threats to the fleet, the Intruder crew decided to retain their remaining Rockeye in case they might be needed against any other threats in the area. As fuel began to run low, they returned to the ship, landed, and underwent extensive debriefing. 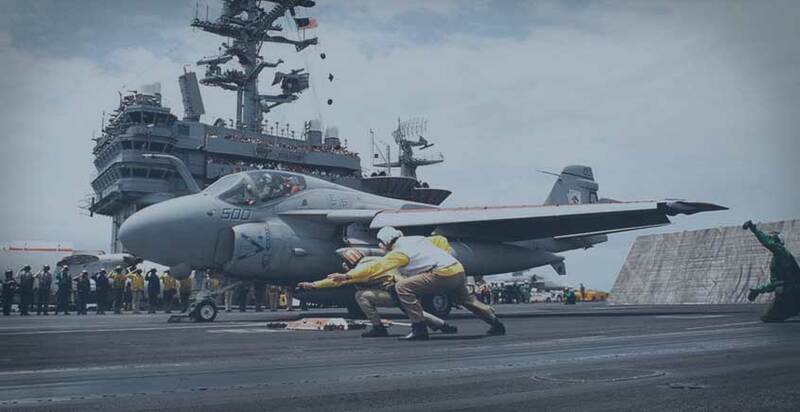 The following day, A-6 patrol aircraft from VA-85 flying off of USS Saratoga located the patrol craft, which was still barely afloat, and attacked it with additional Mk-20 Rockeye, sending it to the bottom. What Intruder crews learned from the attack was that it’s fairly easy to severely damage and stop a ship, especially one with exposed missiles topside; however, the ship’s structural compartmentalization can make it much more difficult to sink.